CLICK HERE TO LEARN MORE AND RESERVE YOUR SEAT CREATING CONSCIOUS COMMUNICATION: HOW TO HEAL YOUR RELATIONSHIP AND THRIVE 2-HOUR WORKSHOP! CLICK HERE TO LEARN MORE AND RESERVE YOUR SEAT AT THE 1-DAY RELATIONSHIP NAVIGATION SECRETS FOR SUCCESSFUL WOMEN INTENSIVE WORKSHOP! 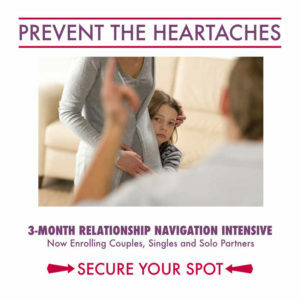 CLICK HERE TO LEARN MORE AND RESERVE YOUR SEAT AT THE 1-DAY RELATIONSHIP NAVIGATION SECRETS FOR COUPLES AND SINGLES INTENSIVE WORKSHOP! CLICK HERE TO LEARN MORE AND RESERVE YOUR SEAT(S) FOR THE VORACIOUSLY CURIOUS WITH KIMI AVARY 2 DAY WORKSHOP FOR COUPLES AND SINGLES!